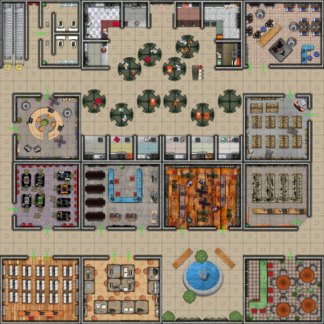 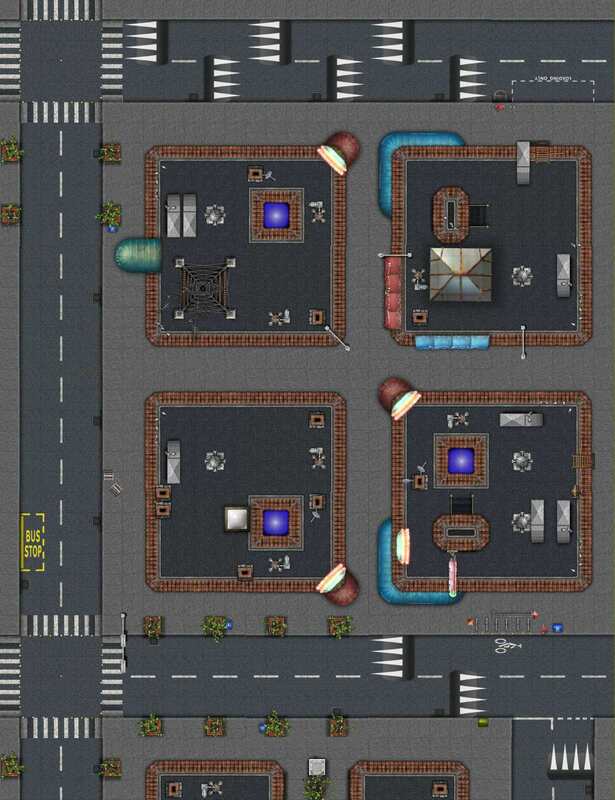 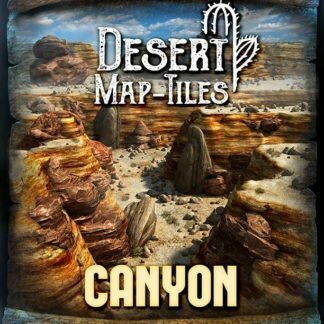 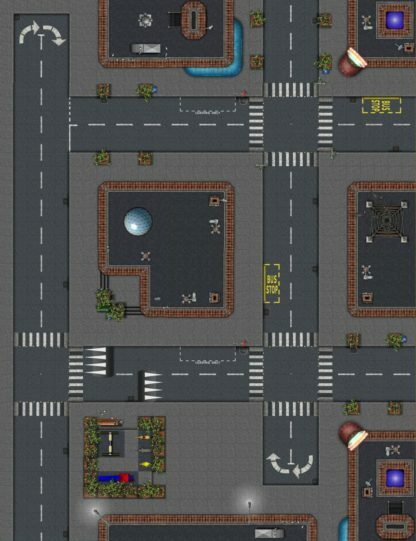 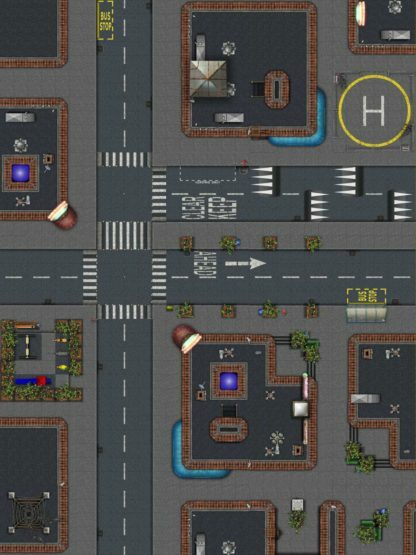 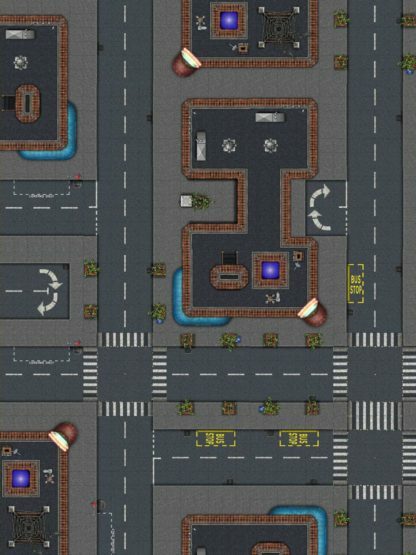 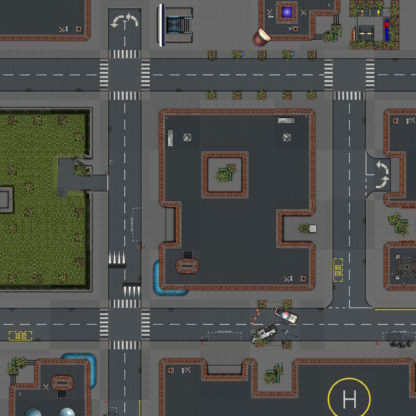 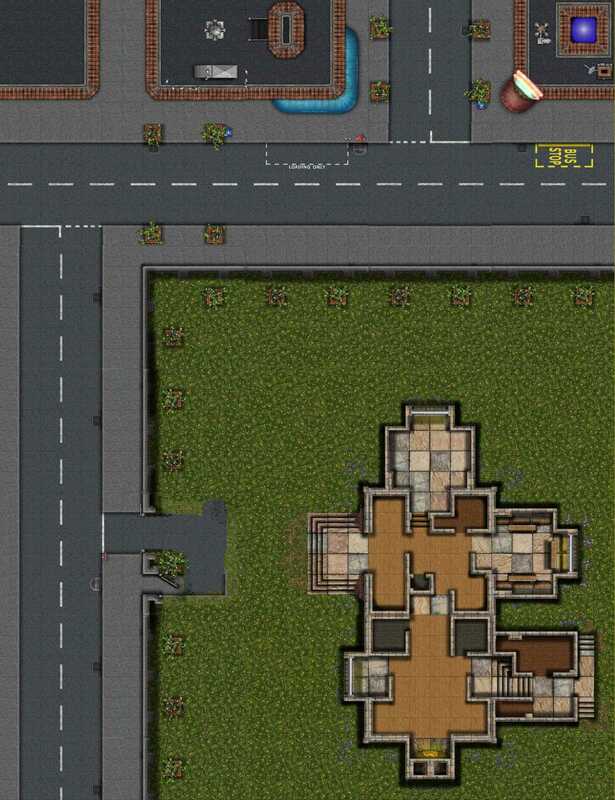 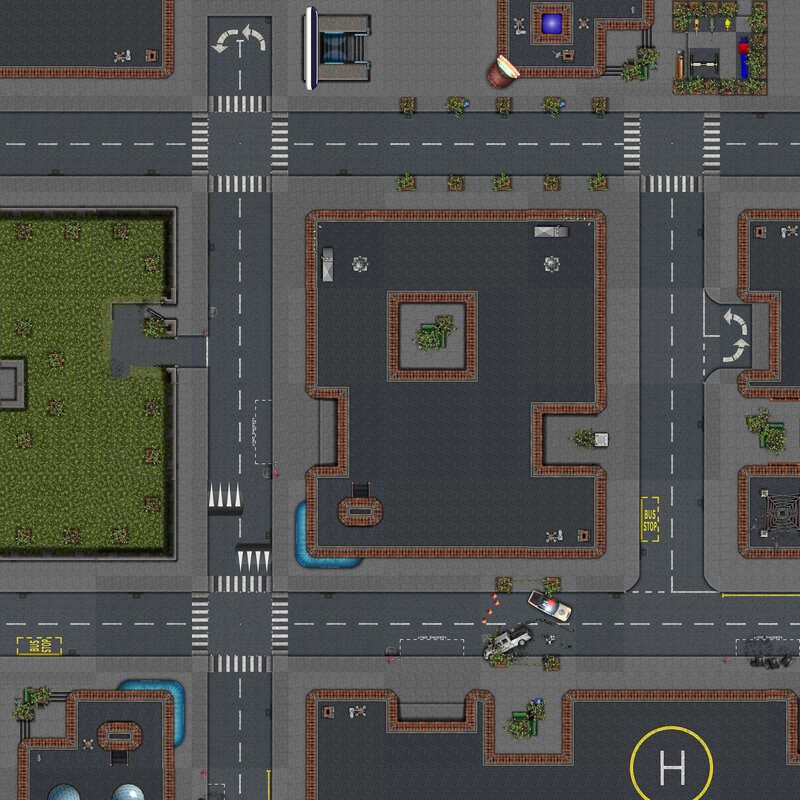 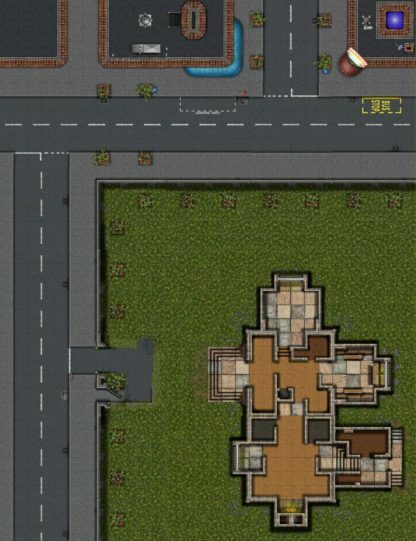 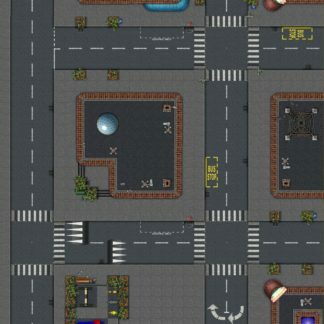 This free Add-On contains 49 unique map tiles (6×6 squares each) and 16 decorative items for creating layouts of modern-day city streets. 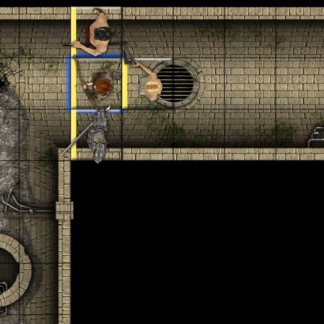 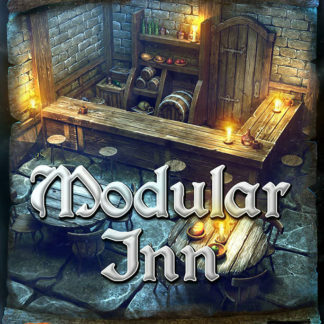 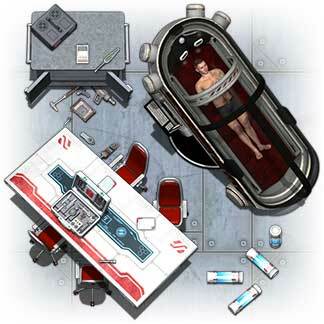 All the tiles in this artpack were created by ProBono (of the Dundjinni user forums). 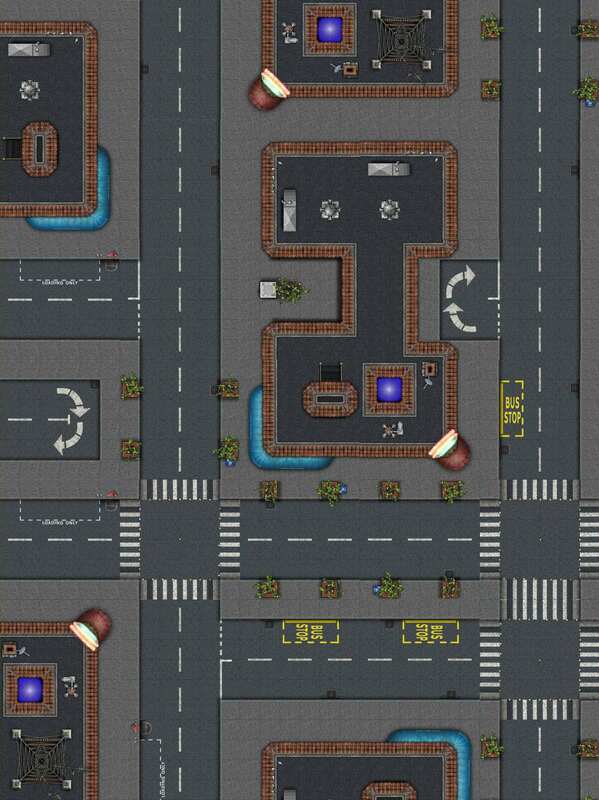 Where applicable, the tiles are available in both US and UK (lanes reversed) versions.